The Gazoo Racing Supra Racing Concept has been unveiled at the 2018 Geneva Motor Show, giving us a preview of how the new Toyota Supra will look like. As with its predecessor, the Supra will be powered by a turbocharged inline-six and will have a 50:50 weight distribution. 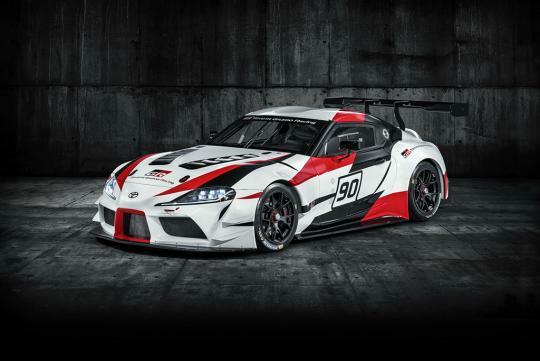 The new car will also have a lower center-of-gravity than its smaller sibling, the Toyota 86. However, in an interview with Toyota engineer Tetsuya Tada who is also the brand’s Chief Engineer behind the Toyota 86, Autoblog found out that there will be no manual gearbox for the sports car. According to the engineer, 'Supra fans don’t think it’s a huge requirement'. Given the price of Supra will be more the 86, Toyota might be right in assuming the buyers of the car will not miss shifting their own gears. Interesting, Tada-san did say that the aftermarket tuners will love the Supra's engine as it will be easy to extract more power from it.